This knitted piece 'Prawo do bledow' features drawings by the artists from Galeria ArtBrut in Wroclaw (PL). We've made the drawings together when I was in Wroclaw in september 2016. There was no real plan for my workshop when I arrived. Soon I found myself bumping into communication barriers so I switched to non-verbal expressions. At this point I decided it would be more useful to get to know each other through drawing. 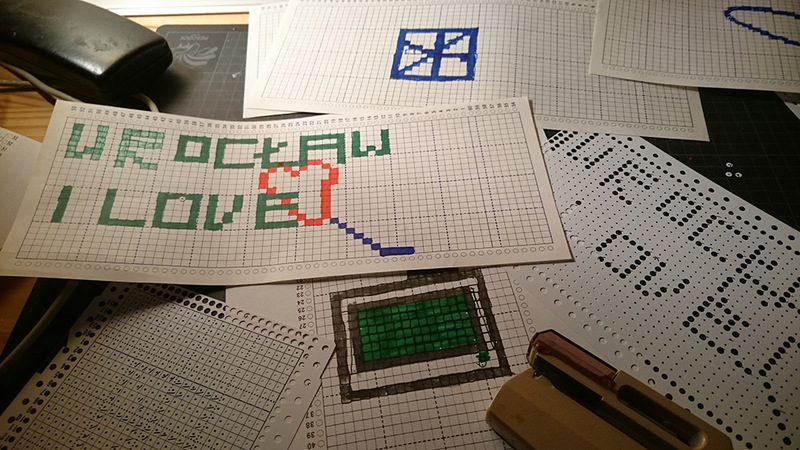 We have converted the drawings into punchcards for my knitting machine. 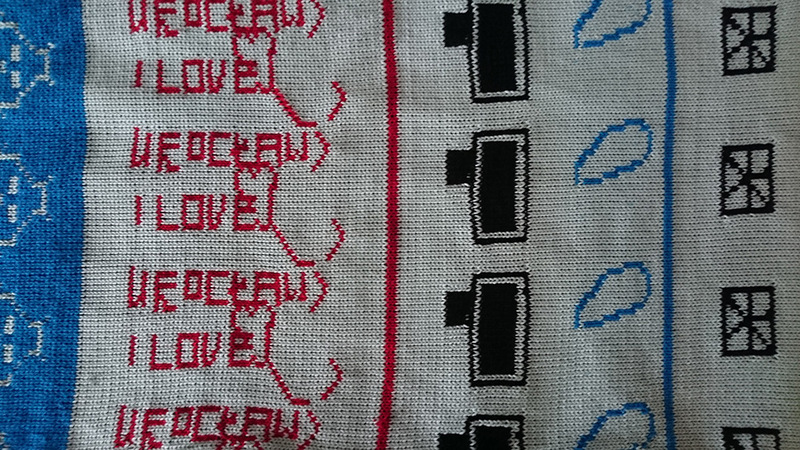 Back in Belgium I knitted the drawings together in two versions of one piece. The red and blue version I've sent back to Wroclaw to be displayed in their next exhibition. In a lot of cultures around the world stories are told through textile patterns, expressing social status or historic events (the Bayeux tapestry for instance). The 'Prawo do bledow' pieces tell the story of a meeting between artists who are trying to communicate with little words.